OMG can I just say I had a blast this past weekend with my daughter Nicole and some a couple of great friends in the Twin Cities. 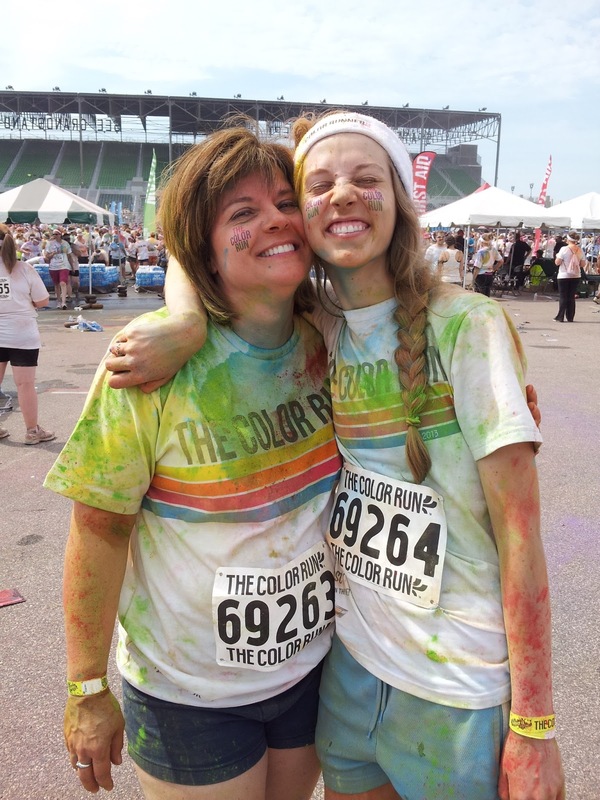 I participated in my first 5K called The Color Run. Over 20,000 people participated in the event. 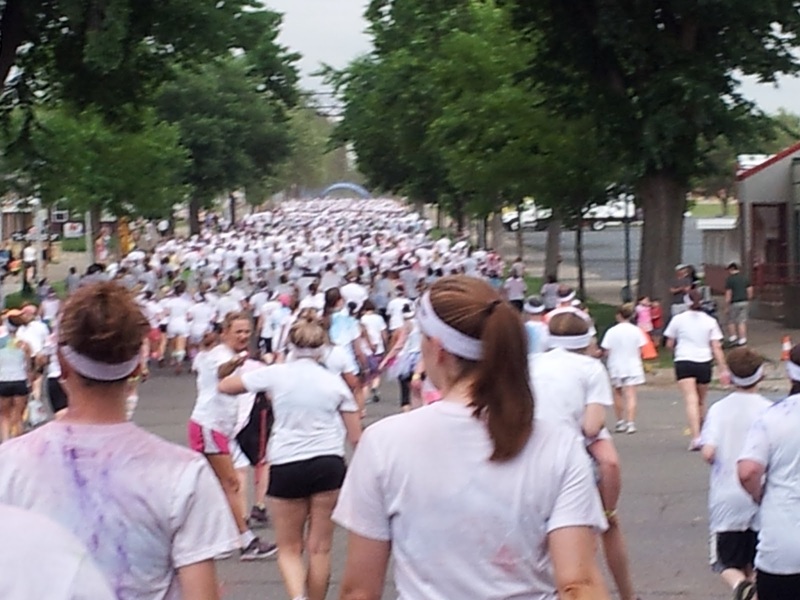 We all started out in white t-shirts and as the race went on we would passed a color area where we were squirted with powder in various colors. By the end of the event there were 20,000 rainbow clad participants. There were little kids in strollers and we even saw a sweet elderly lady with a walker. The weather was glorious all weekend long, I got to spend time with both my kiddos and we helped raise money for a great cause. Money from this event went to kids whose parents have or had cancer. The kids get to attend a week long camp in northern Wisconsin. Tomorrow I’ll post another card for you to fall in love with, then tomorrow evening I’ll be headed out to Salt Lake City for the Stampin’ Up! Convention. This is the 25th Anniversary of Stampin’ Up! I’ll be learning lots of great things while I’m there. Don’t worry I plan on taking lots of pictures and I’m bringing my computer so I can post about all the fun we’re having. Stampin’ Up! wants you to become part of the family so they’re sweetening the pot. Not only do you get to create your own starter kit for just $99, with the new special you get a sign on bonus of your choice of 4 great new kits. The first 3 project kits are from the upcoming Holiday Catalog (get them early) and the 4th option is from the Annual Catalog. FREE shipping on your Starter Kit saves you 10%! You get a 20% discount on all of your Stampin’ Up! purchases. One – time 30% off Discount on your first order of $150 or more! orders of $150 or more! Join my team and become part of a fun and supportive community. Online we share creative ideas, stamping tips and more! No pressure! Run your business/ hobby the way you want. Join for the fun or to run a business, it’s up to you. I’ll support you in what ever you do! Oh how I love it when Stampin’ Up! coordinates stamp sets and punches. Here the Six-sided stamp set pairs up with the Hexagon punch. Notice the bit of “bling” with the mini brads.